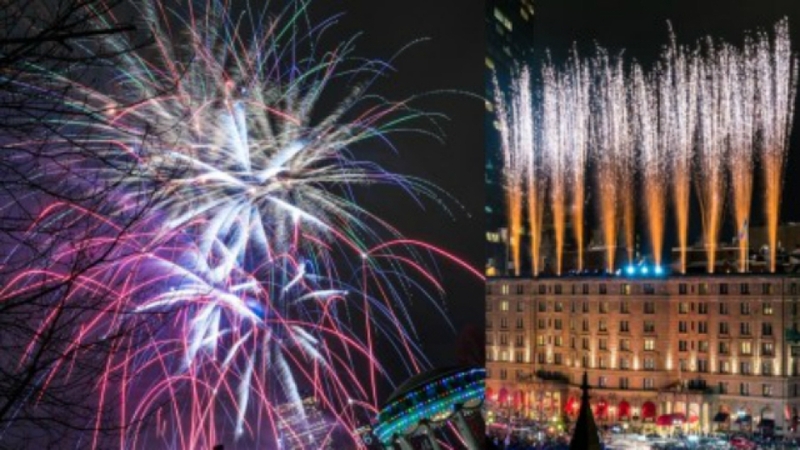 The events begin at noon on Dec. 31, and NBC Boston is broadcasting it live at 6 p.m.
First Night Boston is a huge celebration with ice sculptures, fireworks, a parade, music, face painting and much more. The events are perfect for those of all ages, and begin at noon on Dec. 31, and starting at 6 p.m., they're being broadcast live on NBC Boston. First Night First Day 2017 is free and open to all. Focused in Copley Square, it will highlight local artists and musical performances spanning different cultures, ice sculptures, and a procession featuring giant puppets, drum lines and other exciting participants. Family-friendly fireworks will take place at 7 p.m. over the Boston Common. Before midnight, there will be a "Copley Countdown" with live music followed by a spectacular pyrotechnics show to ring in the New Year. In addition, there will be First Day events on Jan. 1 from noon to 4 p.m.
Impark at 131 Dartmouth St.
For questions, email firstnight@conventures.com or call 617-439-7700.